When it comes to chasing waterfalls, you'd be hard-pressed to find a region in North America more prolific than Northern California. From a sheer numbers perspective, the place is home to an essentially inexhaustible supply of bucket list contenders. But it's not just the amount of waterfalls you'll find; it's the staggering variety. Along the rugged coast, there are tidefalls that cascade off of sea bluffs and spill into the ocean. Farther inland, deep within the old-growth forests of Shasta County, splendorous 100-foot cascades drop into exotic emerald pools. 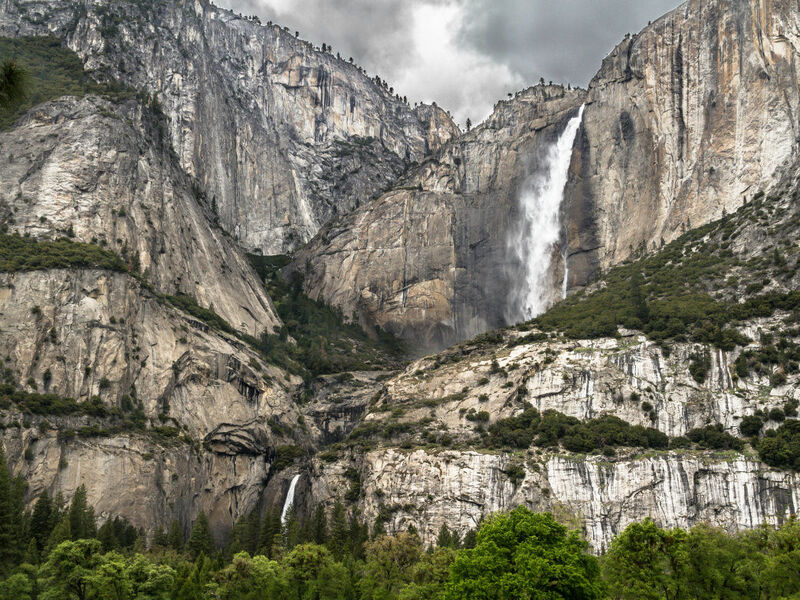 In the venerable Yosemite National Park, you'll find one of the tallest tiered waterfalls in the world. To sum it up, it's a waterfall lover's paradise, and while it’s not easy to narrow them down, these 12 will offer a solid start. 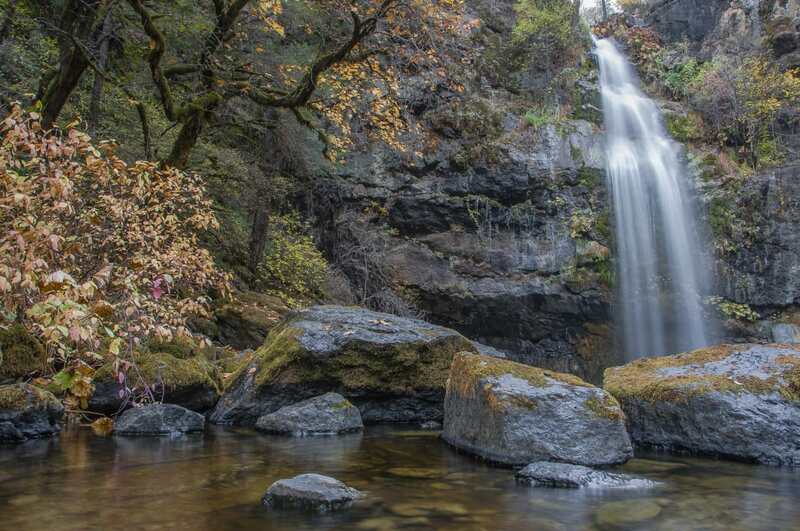 Just 10 miles from Redding, Crystal Creek Falls is the perfect intro to Northern California waterfalls. From the parking lot in Whiskeytown National Recreation Area, you’ll take the paved, level path to a well-maintained picnic area—the falls are just beyond that. Bonus: the trailhead is adjacent to the start of the James K. Carr Trail, which you can take to the nearby Whiskeytown Falls. 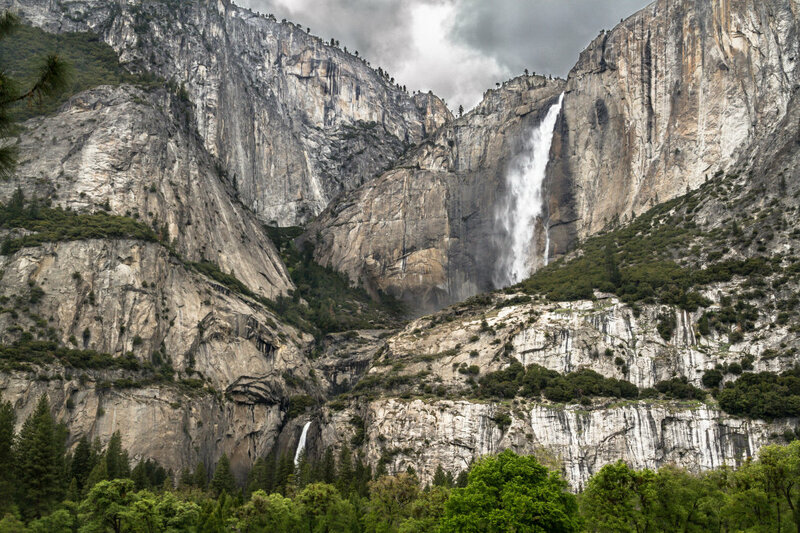 No tour of California’s waterfall offerings would be complete without a trip to the tallest waterfall in Yosemite National Park. Yosemite Falls cascades 2,245 feet from top to bottom, and its upper falls are among the highest waterfalls in the world. It’s a strenuous 7.2-mile hike all the way to the top, or a moderate two miles to the viewpoint at Columbia Rock. Ready for a respite from the crowd? 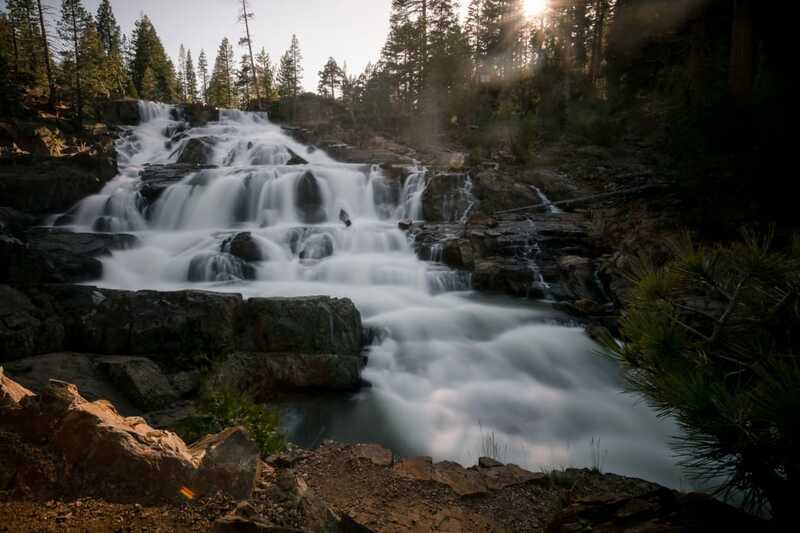 Glen Alpine Falls, just outside South Lake Tahoe, is tucked out of the way, and the one-mile roundtrip hike gets you up close and personal with the 30-foot cascade. To extend your hike, pick up a permit at the Glen Alpine Trailhead and wander up the backside of Mt. Tallac or into the Desolation Wilderness. 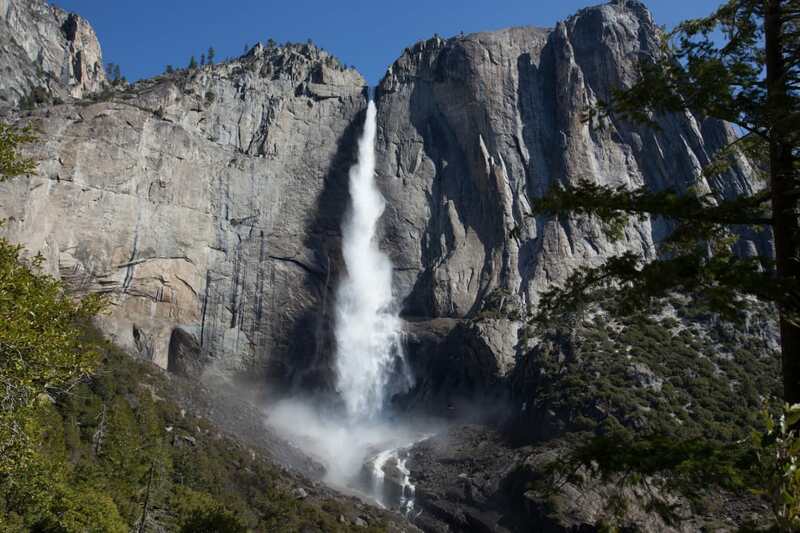 At just 14 feet, this waterfall is diminutive compared to giants like Yosemite Falls, but it packs a big, well, punch. The 1.2-mile hike to Devil’s Punchbowl begins just outside Angwin. Getting to the top of the falls is easy, but getting to the base (and swimming hole) requires more effort and some agility to negotiate a stream crossing. This cascade is best seen right after a heavy rain, when the water really gets flowing. 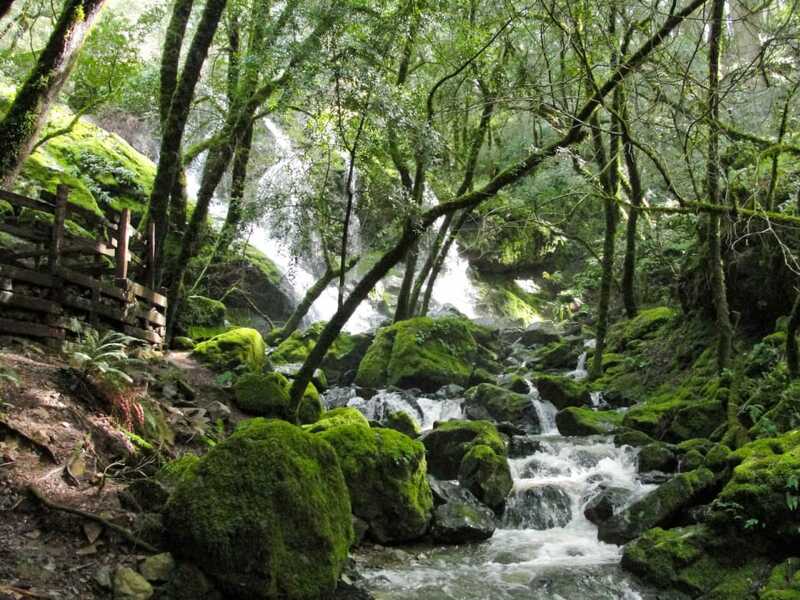 Marin County is home to more than 500 miles of trails, so it’s really saying something that the trail to Cataract Falls is among the most beloved. 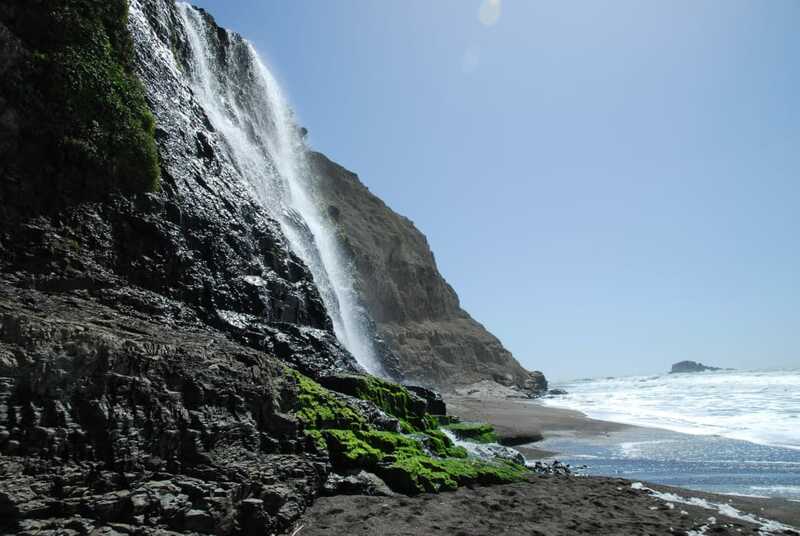 A 7.7-mile loop hike brings you to Cataract Falls, where you will also find sweeping views of the Pacific Ocean—or you can check out the falls on a shorter 2.7-mile out-and-back hike. Recently measured at 410 feet (instead of 640 feet), Feather Falls may not be one of the tallest waterfalls in the United States, but it’s still worth the trek. 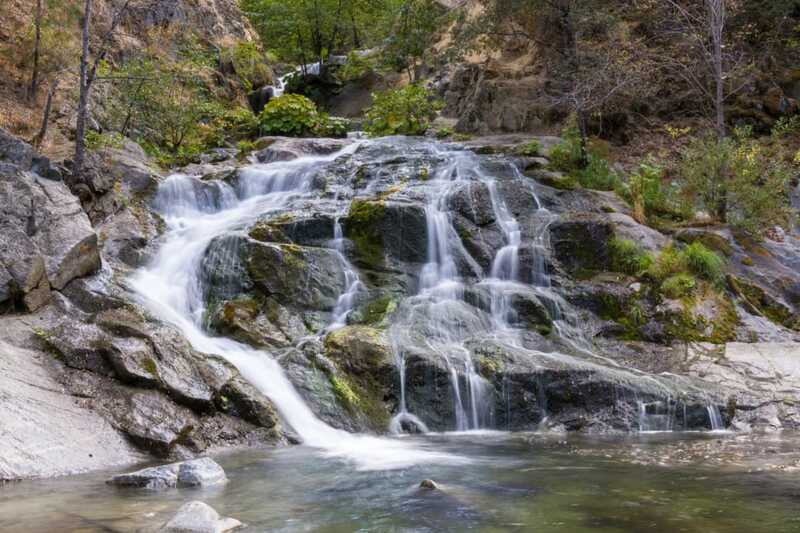 Along the trail is a refreshing swimming hole (near Frey Creek), and the hike through Plumas National Forest, near Oroville, boasts incredible views. The Upper Trail is a moderate nine miles, while the lower trail is a strenuous seven miles. Feather Falls reaches peak flow between January and June, then slows down from July through October. Just outside the tiny town of Dunsmuir, Hedge Creek Falls earned its nickname, the "Million-Dollar Waterfall," when it was nearly destroyed by rerouting of I-5. Fortunately, the falls—and the million-dollar views of Mt. Shasta and the Sacramento River—are still intact. This 30-foot waterfall flows in front of a cave once rumored to be the hideout of Black Bart, a notorious 19th-century stagecoach robber. It’s less than a mile to the falls and the breathtaking views. Potem in Latin means "to drink," and although the gorgeous 45-foot falls into the Pit River near Montgomery Creek are tempting, there’s no potable water along the trail, so you’ll have to bring plenty of your own. The waterfall is accessible via an easy 0.3-mile trail or by boat. 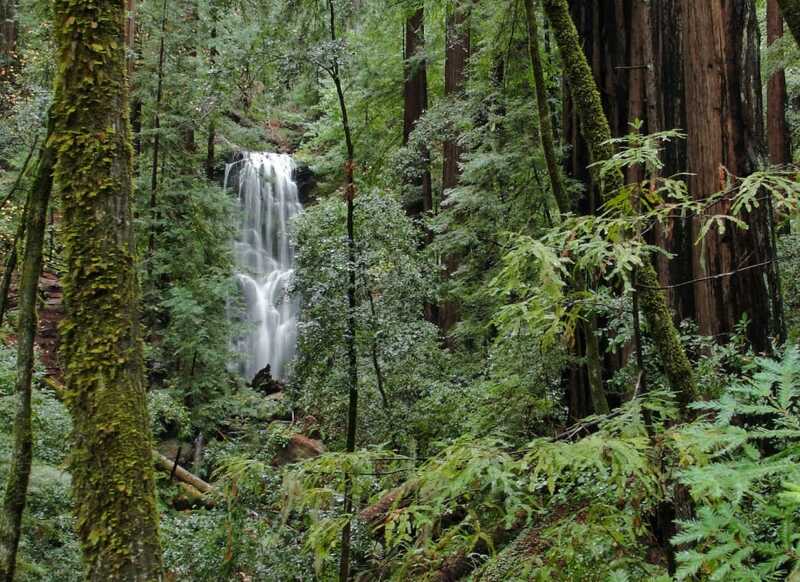 The strenuous 9.5-mile hike through Big Basin Redwoods State Park on the Skyline to the Sea and Sunset Trails to Berry Creek Falls is totally worth the effort, winding through old-growth redwood trees on the way to the main attraction. Berry Creek actually encompasses four gorgeous, cascading waterfalls, including the aptly-named Silver Falls and Golden Cascade. 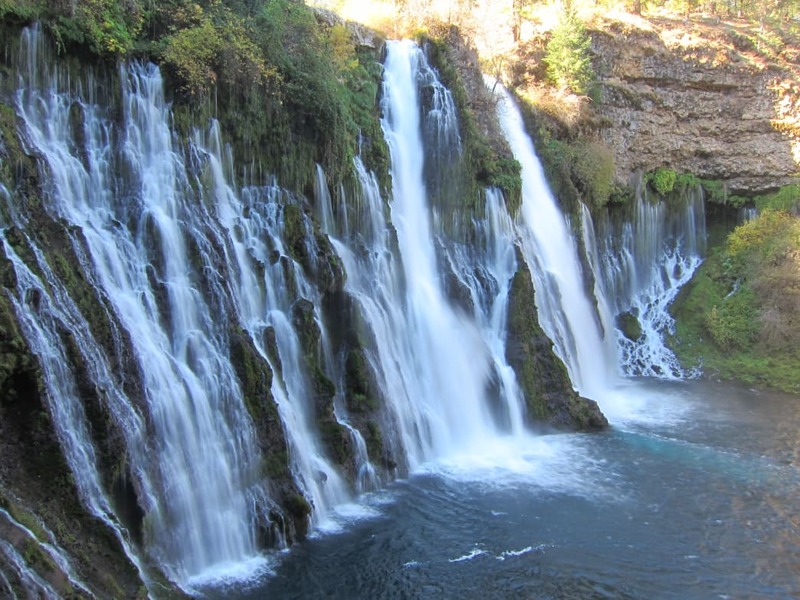 Once described by Teddy Roosevelt as "the Eighth Wonder of the World," Burney Falls makes an incredible picnic spot—views of the 129-foot falls, the centerpiece of McArthur-Burney Falls State Park, are accessible right from the parking lot. A 1.3-mile trail circles the cascade, which begins in underground springs further inside the park. 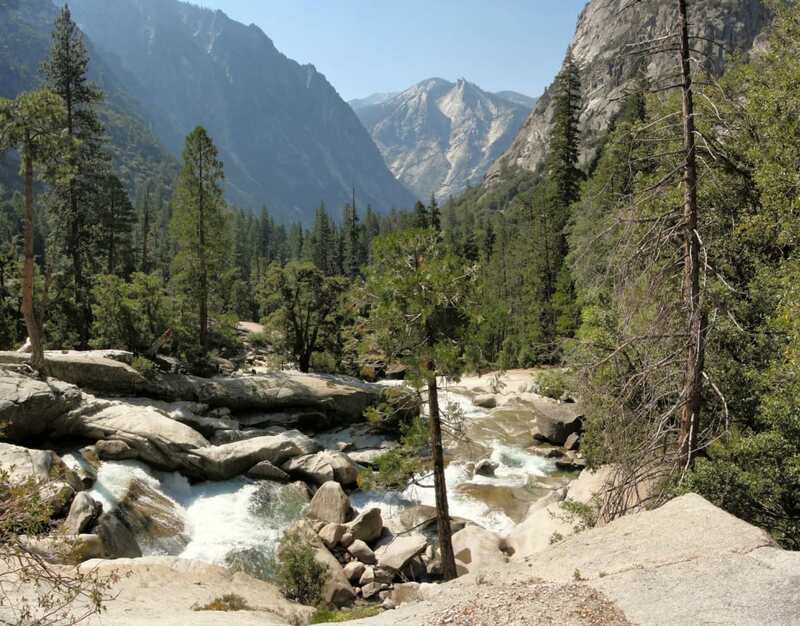 The jointly administered Sequoia and Kings Canyon National Parks are home to glaciated canyons, tons of alpine lakes, and, of course, the namesake giant sequoia trees, but they also contain some incredible waterfalls. The hike to Mist Falls, one of the largest in the parks, is eight miles round-trip, and you’ll gain most of the elevation (600 feet) in the last mile before the falls. A visit to Alamere Falls on Point Reyes National Seashore, deep in the Phillip Burton Wilderness, is no easy feat—it’s 13 miles round-trip. The park recommends hiking to Wildcat Campground, then heading to Alamere via Wildcat Beach at low tide. Alamere is special because of its status as a tidefall, meaning it falls directly into the ocean. Written by Emma Walker for RootsRated.